At The Law Offices of Charles H. Leo, P.A. we represent our clients on a contingency fee basis. To put it simply, we only are paid if we recover money for you. With our legal services, you have nothing to lose. If you or a loved one are injured on the job, you are entitled to a fair compensation that covers the expenses of your potentially mounting medical bills as well as the many various costs of a workplace injury. Always consult with a qualified workers compensation attorney in Orlando, Fl. to ensure that you receive a just pay for your suffering. Many employers and insurance companies will attempt to minimize payouts and use time-consuming and overwhelming paperwork to confuse and discourage you. 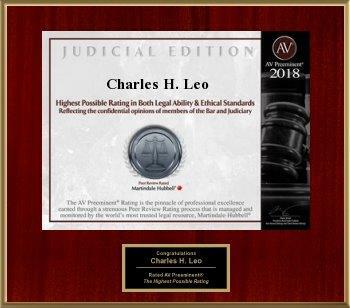 At The Law Offices of Charles H. Leo, P.A., we are dedicated to handling your case efficiently and ensuring the best possible results that you deserve. Our legal team, led by a competent Orlando workers compensation attorney, will remove the hassle and worry out of the entire process so you can continue to focus on your recovery without the pain of courtroom stress. After years of successful claims from our legal team, many insurance companies in Orlando, familiar with our formidable expertise, settle quickly with our clients. Having experience with major insurance providers in the area as well as a proven record of success ensures that we will work hard for quality results for our clients, and obtain them as quickly as possible. As a workers’ compensation attorney in Orlando we will provide the commitment and expertise to your case. We thoroughly evaluate your claim to provide you with reasonable and reliable expectations. We settle, frequently free of charge, the property damage portion of your claim. We reduce the inconvenience and confusion of the legal process by reducing the amount of unnecessary paperwork. We accurately prepare your case for a fair settlement in order to avoid costly mistakes. 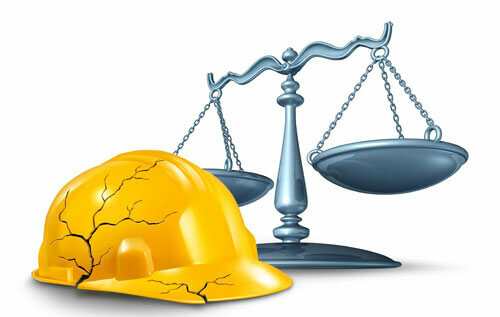 We deftly negotiate the often complex legal issues involved in every workers compensation case. When necessary, we Interview key witnesses to substantiate your case. We negotiate sternly in order to receive the maximum, fair settlement. If we cannot resolve your case out of court, we pursue aggressive litigation for your case. In addition to having an excellent rapport with major Orlando insurance representatives, we also know how to get through the difficult details involved in every case. Legal terminology and rules regarding medical causation and liability, which are a part of nearly every workers compensation case, can be confusing. Let the knowledge and guidance of an adept Orlando workers compensation attorney sort through the details for you, while giving an honest and realistic evaluation of the case. Your case will never be handed to an inexperienced third party representative or paralegal. Only a competent workers compensation attorney at our firm in Orlando will oversee every crucial detail of your case and provide step by step guidance through every part of the process. Around the clock, assistance is always available, even if it means meeting you at your home or in the hospital. If we are not able to resolve your case outside of the courtroom, we are confident in our skills inside the courtroom as well. We have years of experience in Florida trial law and are confident that we can get you the results you deserve. When you need an Orlando Workers’ Compensation Attorney – we have the expertise that you will need in order to secure the most positive outcome in court. Detailed case evaluations are available to our clients seven days a week, completely free of charge. We are flexible with our scheduling to meet with you in the evening or on the weekend at our office or in your home, and any time that a reliable workers compensation attorney in Orlando is needed. We pride ourselves on friendly and personable customer service, but in court, we will be aggressive and determined in resolving your case. The Law Offices of Charles H. Leo, P.A., has been open for over 22 years, serving as an Orlando Workers’ Compensation Attorney since January 1997. We operate strictly on a contingency basis, meaning that we charge no fees whatsoever until a claim is won in your favor. There is no need to feel pressured by a stingy insurance company attempting to intimidate with lofty legal promises. You can hire a qualified workers compensation attorney in Orlando today and stand for your rights with no risk included. Call today to schedule your free consultation. With success in thousands of cases as a workers’ compensation lawyer in Orlando, FL, you can trust in the experience and expertise of the Law Offices of Charles H. Leo. Workers’ compensation cases are notoriously some of the most difficult and intricate cases to navigate through the court system. This is due to the fact that not only must you have a concrete understanding of the actual process, but also because you must be familiar with the confusing and difficult to understand medical terminology that is always present in a workers’ compensation case in Orlando. Along with being able to navigate this difficult process, it is imperative that you hire an Orlando workers’ compensation attorney that has working relationships with the insurance companies that represent the employers in the area. This may result in a much faster process and a larger settlement than if you were to put your trust into a less experienced or not as well known Workers’ Compensation lawyer in Orlando. 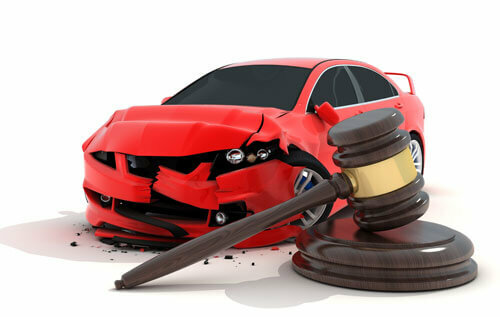 Let the attorneys of the Leo Trial Group help with your personal injury case. If you are trying to proceed with a personal injury case, the expert legal team of The Law Offices of Charles H. Leo, P.A. can help. Our team has vast experience and expertise in handling Orlando personal injury cases. These case involve intricate details and, often, complex legal terms and litigation. Rather than handling your case on your own, you can trust our legal team, including our Orlando personal injury lawyer, to get you the best results. Charles Leo can help with your social security disability claim. The Law Offices of Charles H. Leo, P.A. 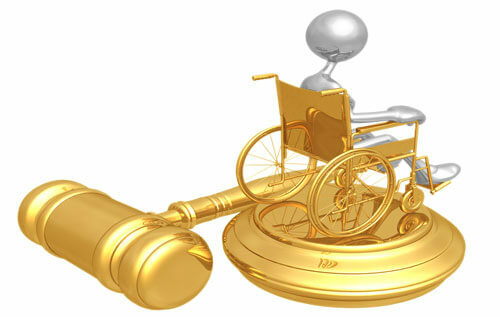 is experienced in trying Orlando social security disability cases and claims. Filing disability claims can be both frustrating and difficult. 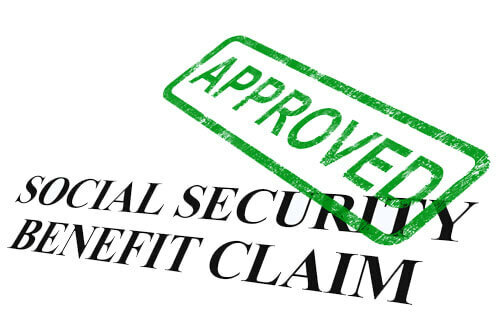 As a Social Security Disability attorney in Orlando, we are prepared to assist you in obtaining the necessary medical documentation needed to move your case forward.